Seven beautiful orchestrated songs in honor of the wonderful gift of life through the philosophy of the Dineh people... It is said that the White Wind entered from the East, and the Blue Wind from the South. The Yellow Wind entered from West, and the Black Wind from the North, entering the body leaving spiral prints of entrance on the left and right Hands, Feet, and the top of the Head, bringing the Spirit, the Breath, Thought, Sight, Speech, and Consciousness. Awakening all the senses and the seven points within us. Beauty Before, Beauty Behind, Beauty Besides, Beauty Above, and Beauty Below. Therefore Beauty must be within. The Seven Sacred Directions of the Dineh People.
" We are only a single note lingering in the Cosmos, but as one people we make a strong chord in Harmony with the Universe." A must have, The Soundtrack to the Journey of Life. I close my eyes and imagine the Beautiful Land, and the Culture, of the Dine. A Great Journey.. When stressed this and all of your cd's take you to another place and time. Your music is very moving. Always delivered in great condition. 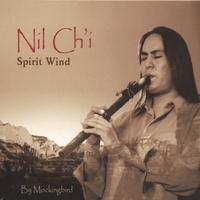 I first heard this CD during a recent visit to Enchantment Resort in Sedona, AZ. and simply HAD to add it to my personal collection. The music is exceptionally beautiful, spiritual, moving, inspiring!! A powerful experience from beginning to end.